Yes, I can be rather spontaneous and also funny, if I feel well and relaxed. In various radio shows I have proven to be pleasant interview partner, but in TV? People can actually see you while talking, they will watch every little inch of the face, arghhhh. Well, you can tell, I get rather self-conscious. The reason for me being there was actually on the one hand my newest cd (Hyperion Romantic Conertos Vol.II with among others the Schumann Concerto), and on the other hand my upcoming concerts with Berlin Philharmonic (also the Schumann Concerto). We didn’t mention the cd (which is fine, the cover doesn’t look great anyway…), and he told me that I had been asked to join Berlin Phil when I was 23; this is obviously not true, so I had to correct that, which was a bit embarrassing, but hey, that’s live TV. After some remarks about my endpin and parquet floors I was released and was allowed to play my little Rostropovich encore, out of which they faded away. Fine with me, another media-presence-experience which couldn’t be much more shallow. Why do you do it then? Well, good question – it has a lot to do with the fact that people tend to go more and more to “events” and to something they have been told is “good”. Less and less people go to concerts because of Beethoven or Brahms, but because of Lang Lang or Nigel Kennedy. It doesn’t really matter, what they play – if you are famous, people will want to see what you are doing. Hello again, Herr Gerhardt. I hope you do become famous someday. You’re an excellent musician. I can tell cause of those performances of the cello concerti of Dvorak and Elgar that I saw with the HSO and Stuart Malina conducting. Do you think you’ll ever do another recording with der herr Markus Groh again? Well, say hi to Frau Gerhardt and Janos for me. On other note, just out of curiousity, I have much interest in the idea of space. And while watching Yo yo Ma’s documentary, he comments on the importance of space has to do with sound and how he has to move around chairs and etc to make sure of sound quality before the concert? Is this something you do as well? thanks for the comfort, by I am aware that since I am not famous, people do come to “my” concerts to hear the cello or a particular piece, which I like. I would hate it very much, if it becomes all about me – I think, I might even give up music and do something else, because then I missed the point of my vocation. But public relation is a dangerous thing: if one does too much of it, there will be many interview requests, and one has to fill them with stories… For me this is a story like so many others, which for the outsider sound quite good, but I don’t even believe, that he does it. To answer your question: no, I don’t do that. Sometimes I move around the hall, just because I like halls, and I like to get the feel of a hall, but I don’t think it will change anything in my performance. i’m hapy to hear that Truls MÃ¶rk is your example for good sound. but he has not only a very nice sound, it’s kind of special too, isn’t it? 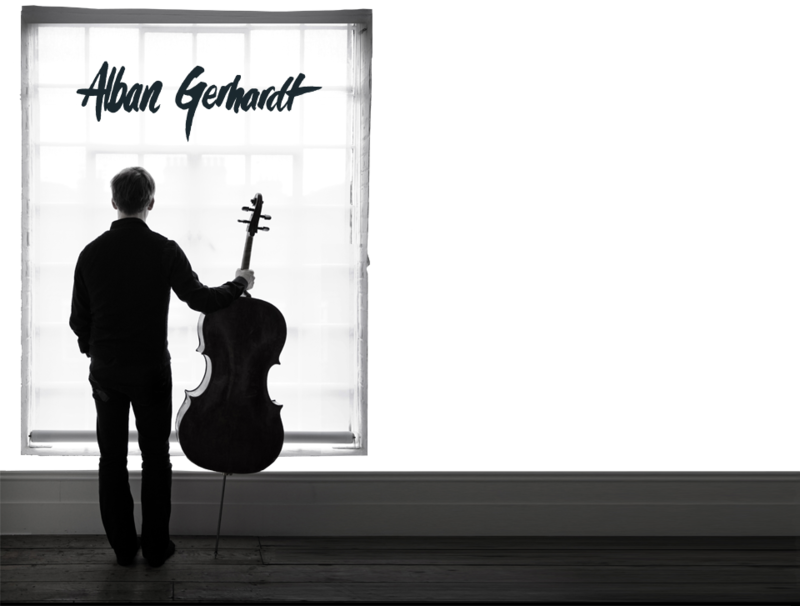 i have got some cd’s of him and at every one i hear a difference to other cellists. maybe it’s his brilliant intonation 😉 … another question i’ve : who cooses the pieces for recordings? I am sure Truls is very special – I must admit that I have never really heard him live, nor do I own a cd by him (don’t like cd’s, prefer the live experience); but I heard once a bit in the radio, and that sounded very beautiful. Also other people told me that he has a very, very special sound. And yes, intonation is probably part of it, but maybe also because he is a wonderful musician and cellist. In my case the people at Hyperion have a great knowledge of repertoire and suggested some things, in my last recording their suggestion was the Volkmann Concerto – I choose Schumann and Dietrich, and the radio producer asked for the Gernsheim. The Reger disc I just finished was my idea (inspired by the pianist Markus Becker) – so one has the whole variety of who chooses what.